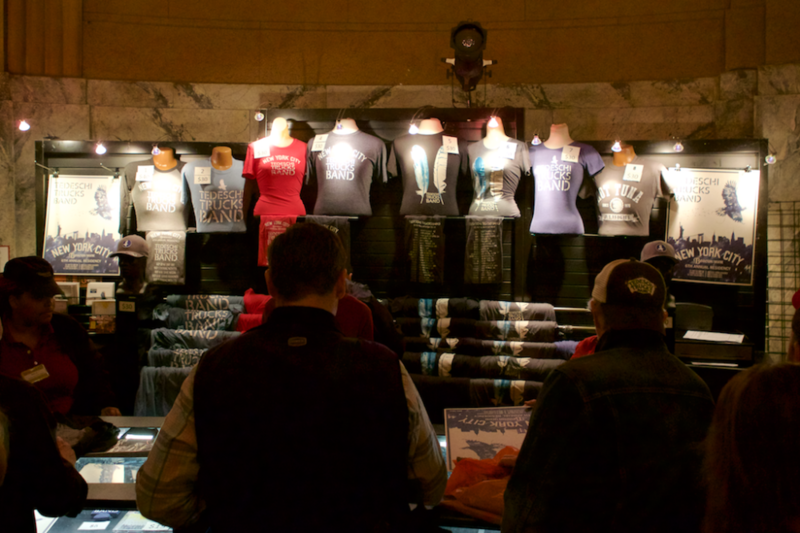 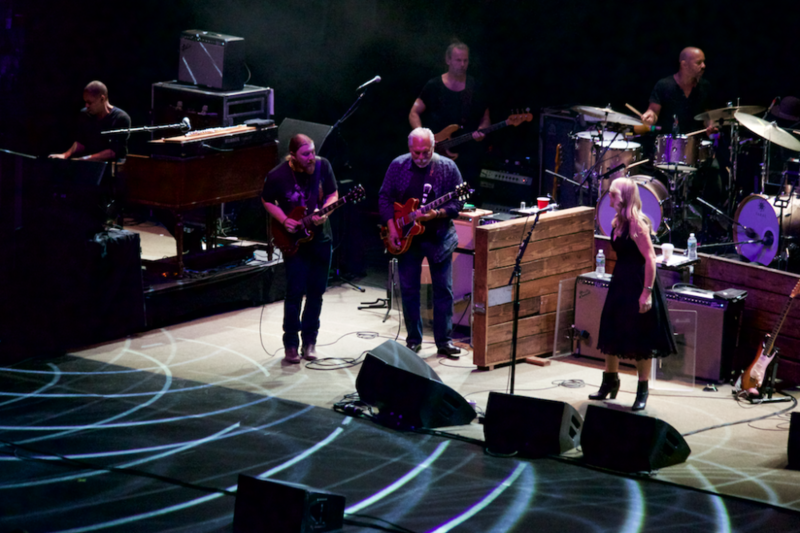 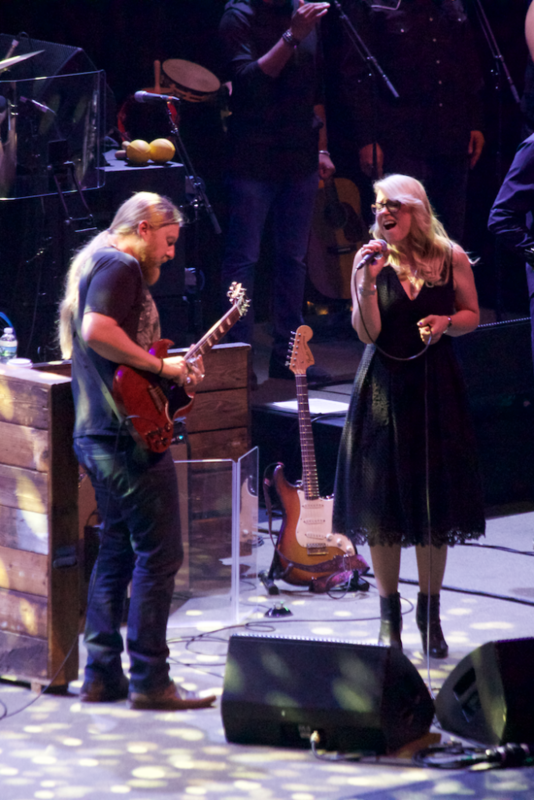 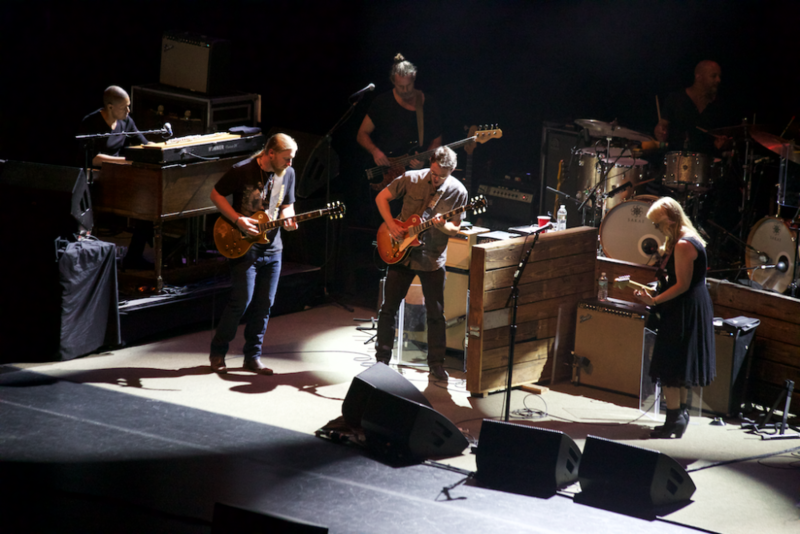 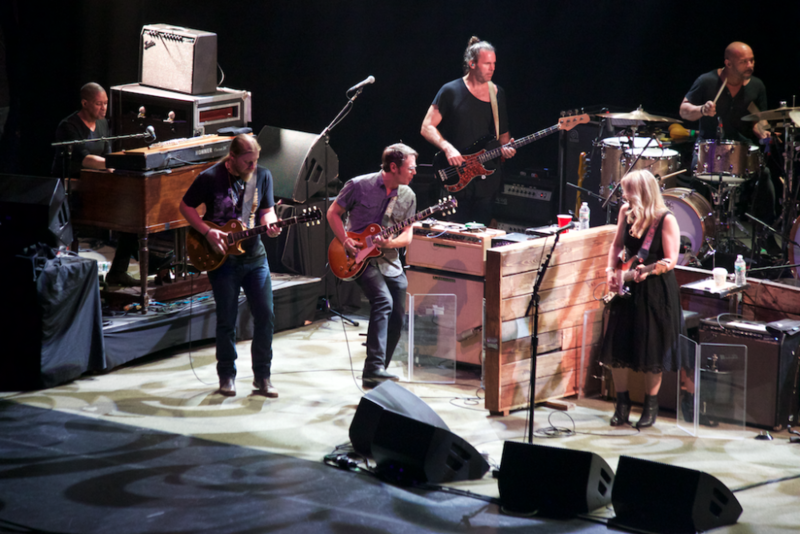 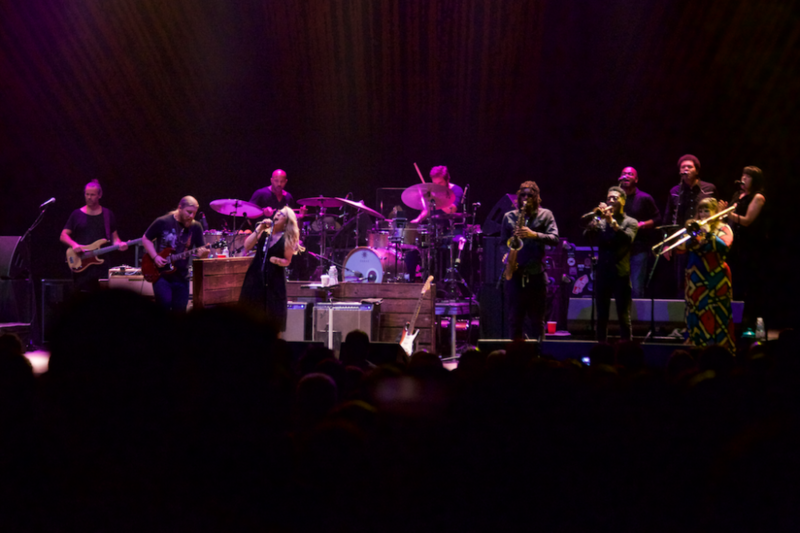 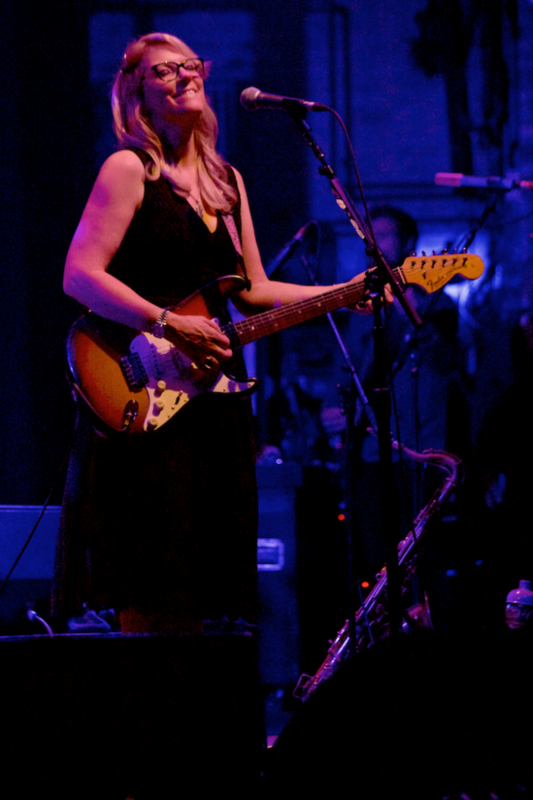 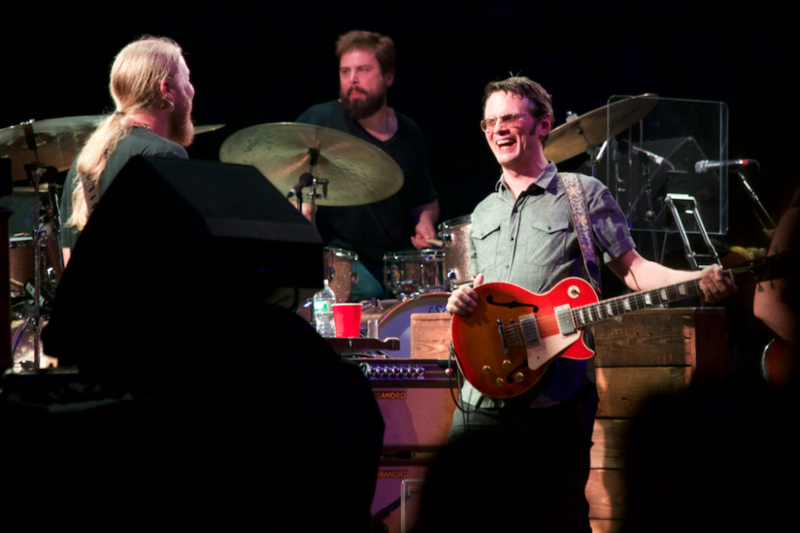 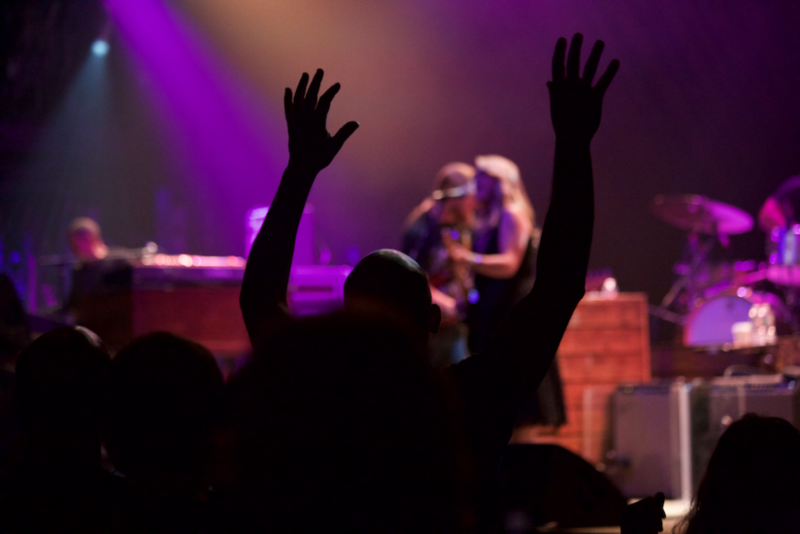 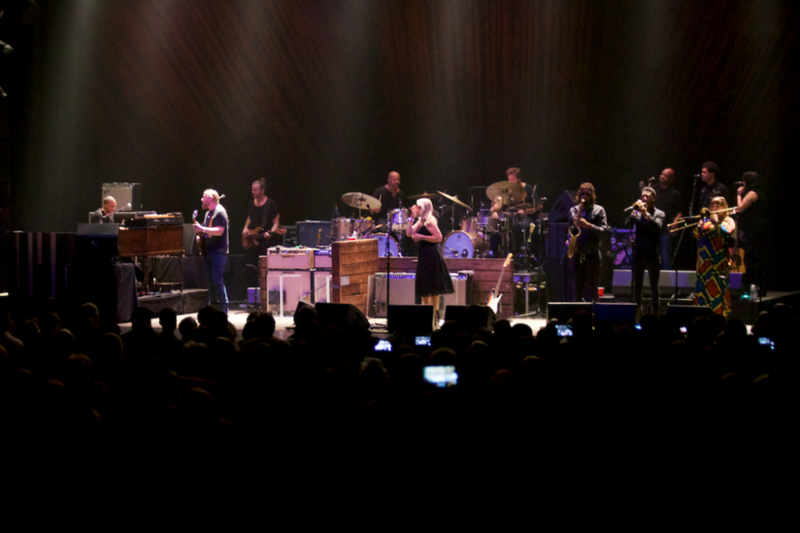 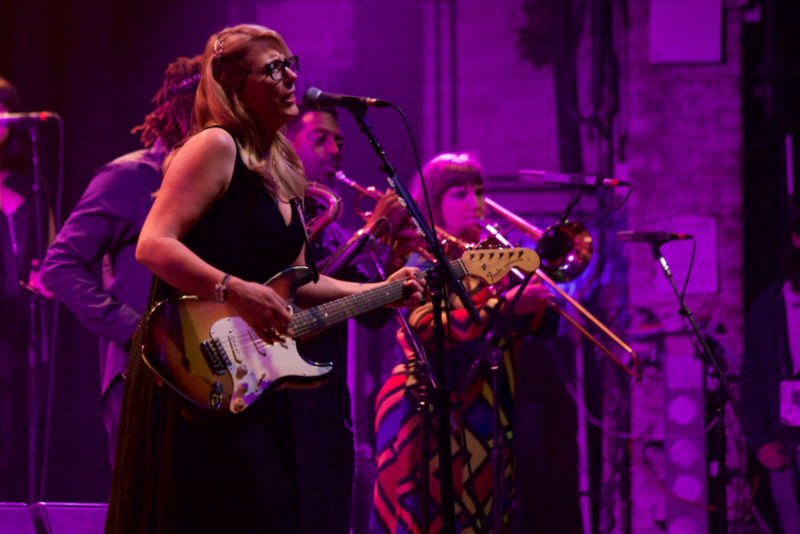 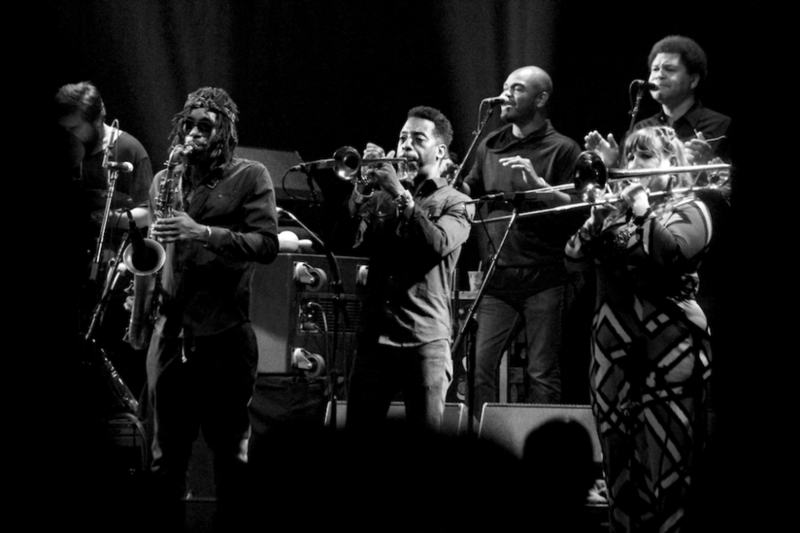 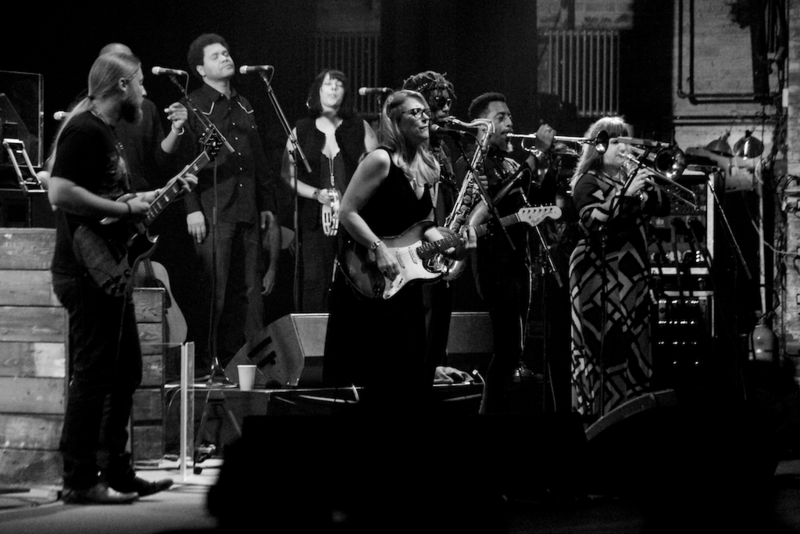 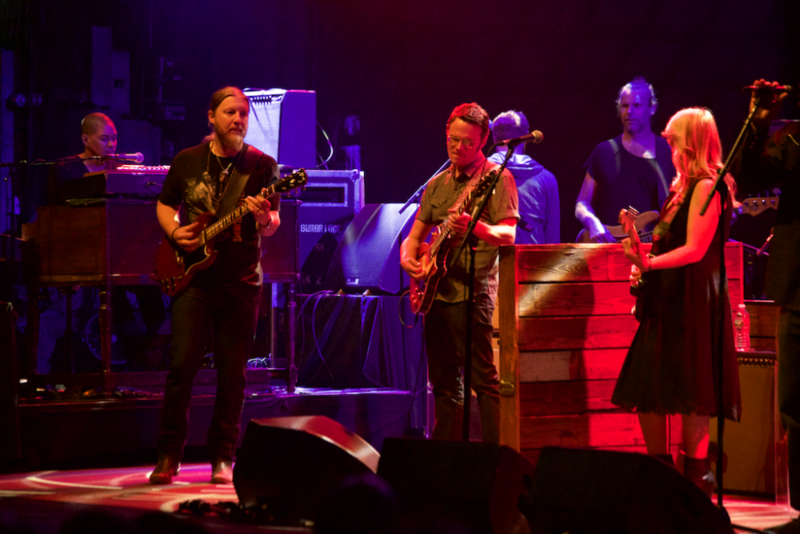 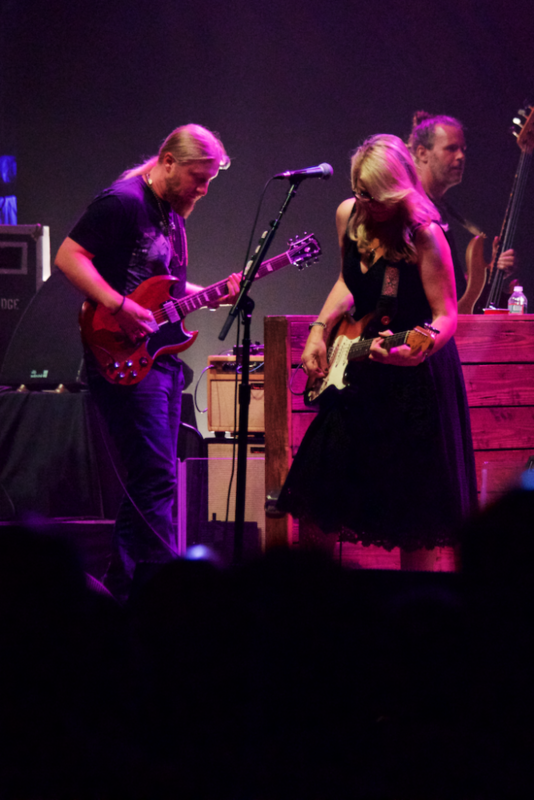 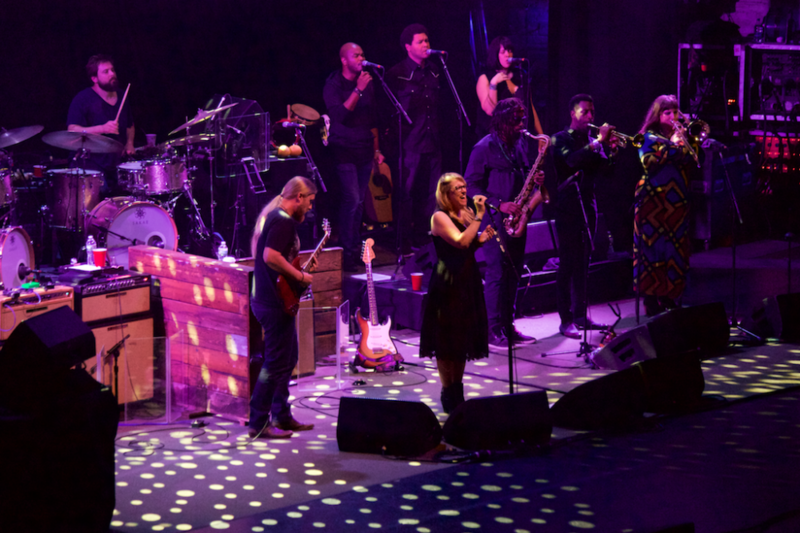 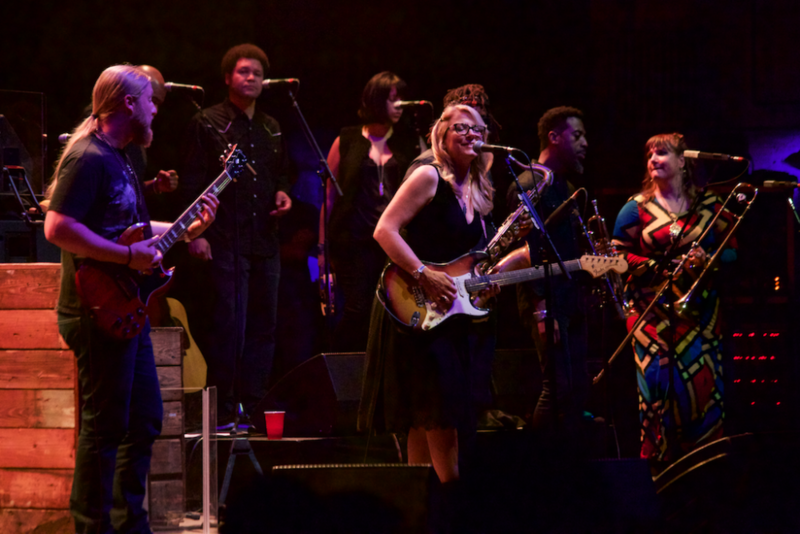 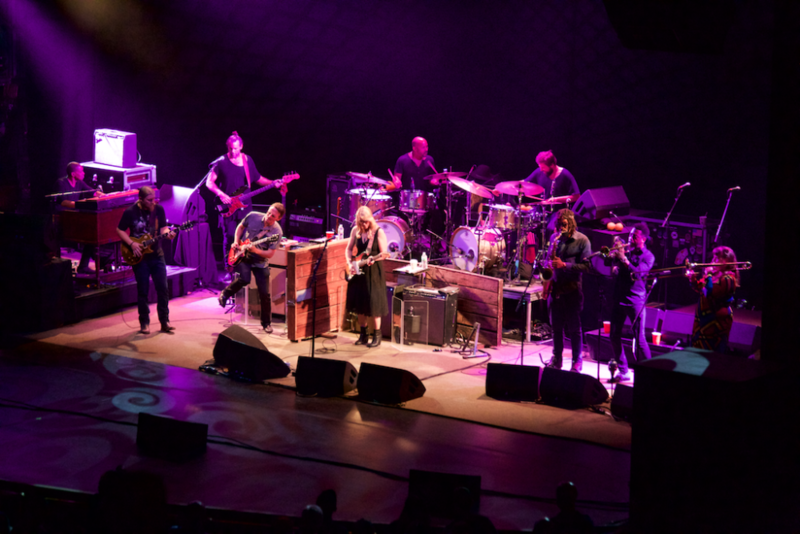 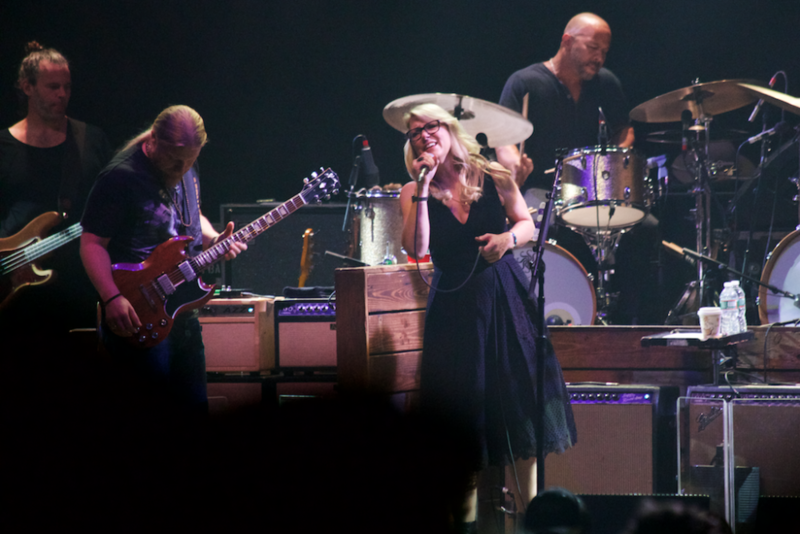 The 12-piece Tedeschi Trucks Band poured out a soul inspired performance at the Beacon Theatre last Wednesday night. 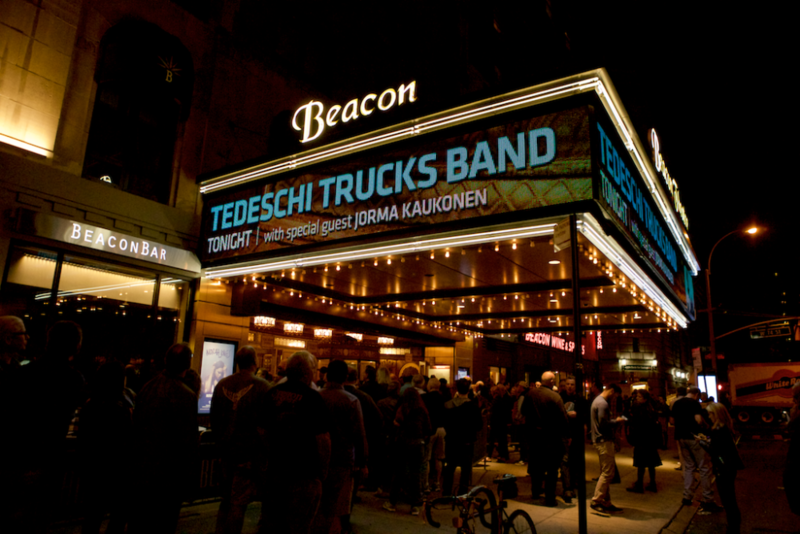 The band held a six-night residency at the Beacon Theatre, and invited many different musical guests to open up each night. 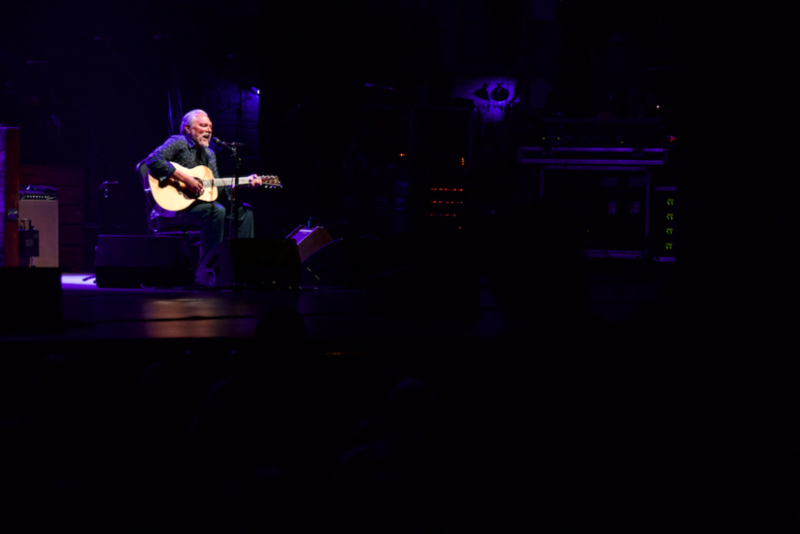 Jorma Kaukonen opened up this evening with a solo set on guitar and vocals. 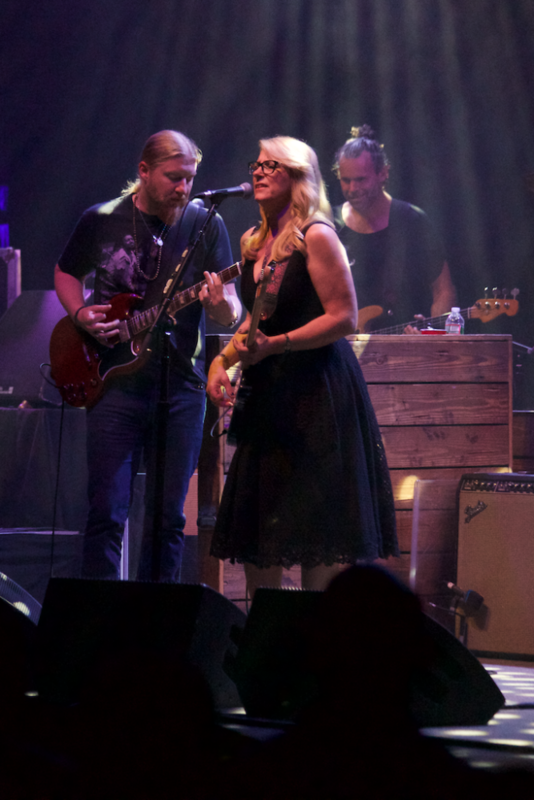 The Tedeschi Trucks began at 9pm with a full band performance of, “Anyhow.” There was a three-piece horn section, three background vocalists, two drum sets, bass, keyboard and organ, and of course two guitars played by none other than Susan Tedeschi and Derek Trucks. 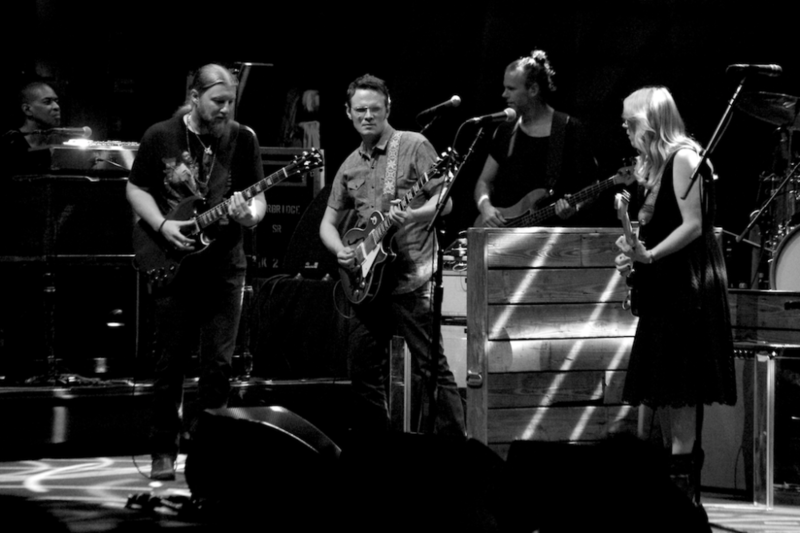 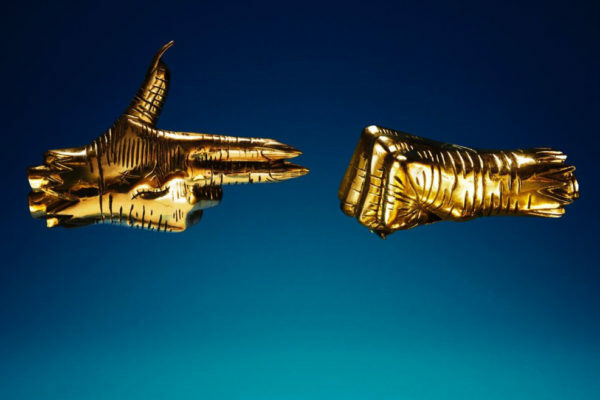 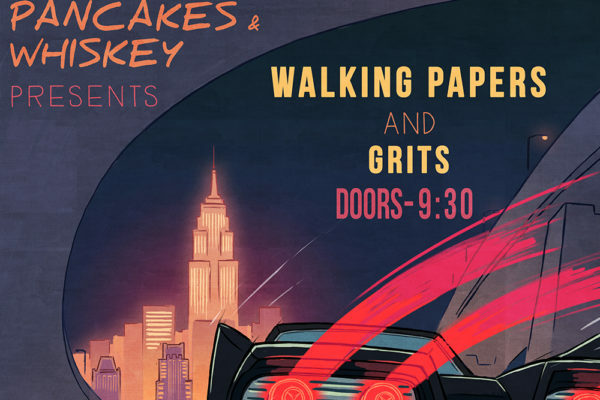 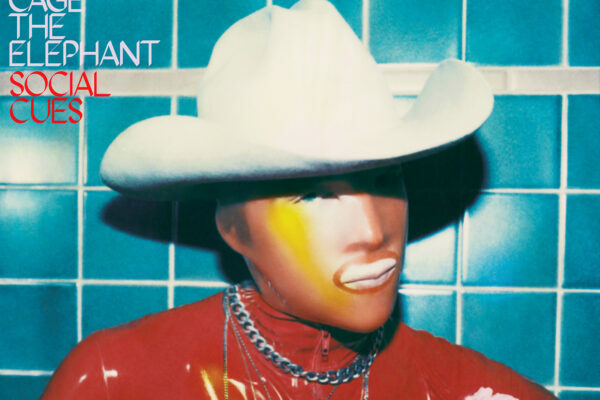 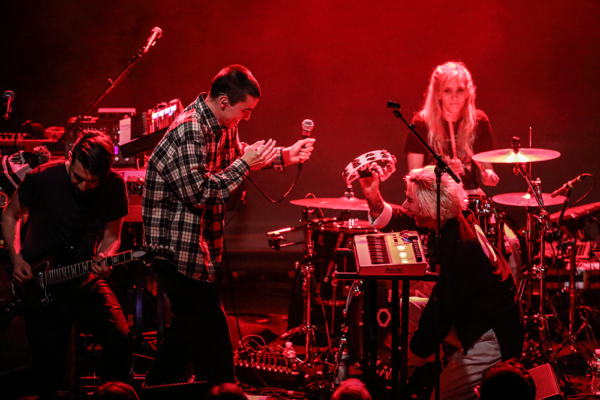 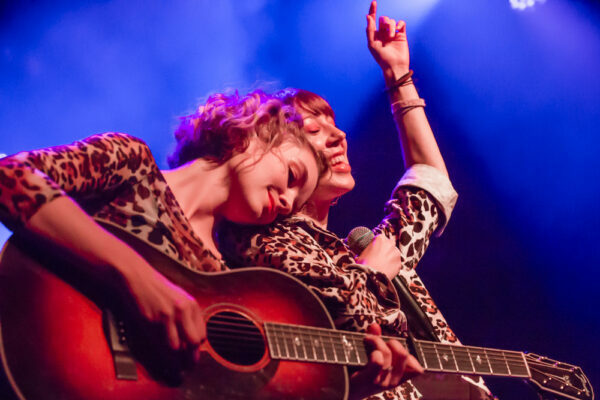 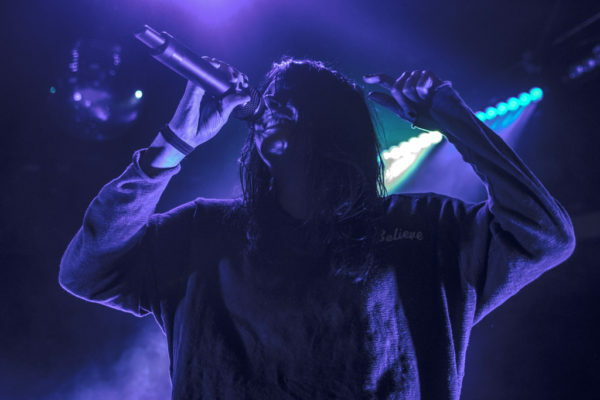 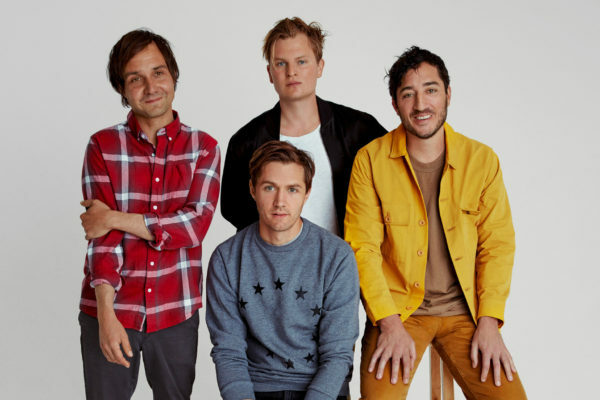 Most of the performance featured songs off their latest album, Let Me Get By, released back in January 2016. 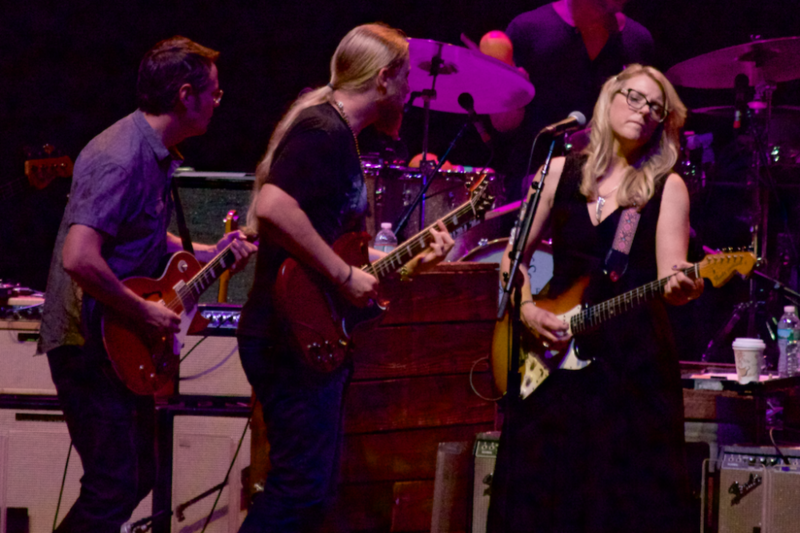 The next few songs of the set were “Don’t Know What It Means,” “Hear Me,” and one of my personal favorites, which focused on the exquisite voice of Susan Tedeschi, “Until You Remember.” Next was “Crying Over You / Swamp Raga,” lead by one of the background vocalists, whose voice reminds me of a young and soulful James Brown. 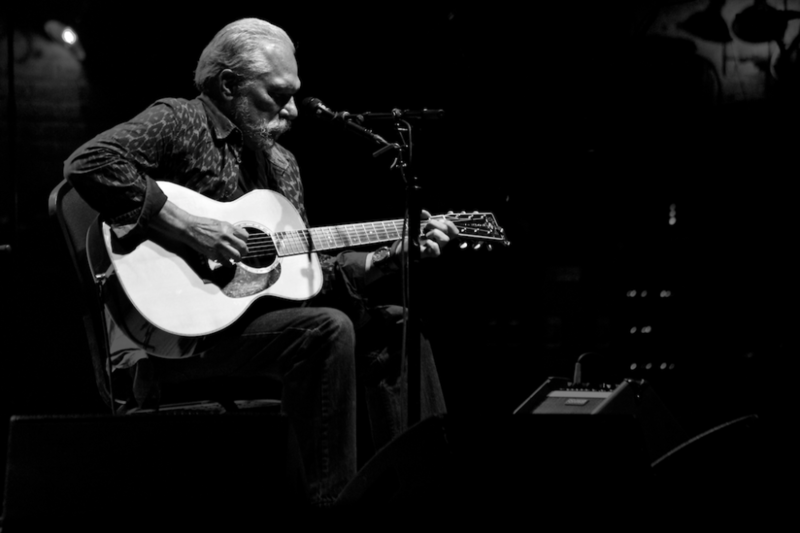 Next up was the infamous, “Wade in the Water.” Then came the ever spirited, “Bound For Glory” from the Revelator album. 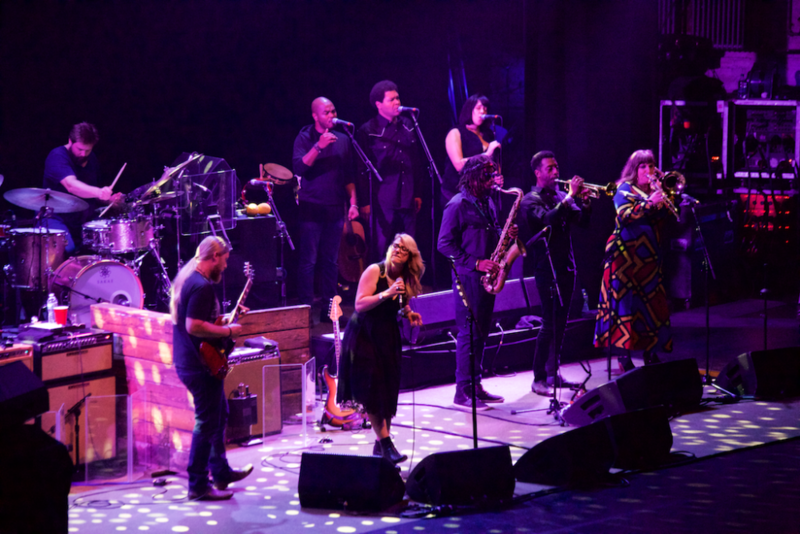 During this song the whole crowd in the orchestra section of the theatre was on their feet and grooving along with the band. 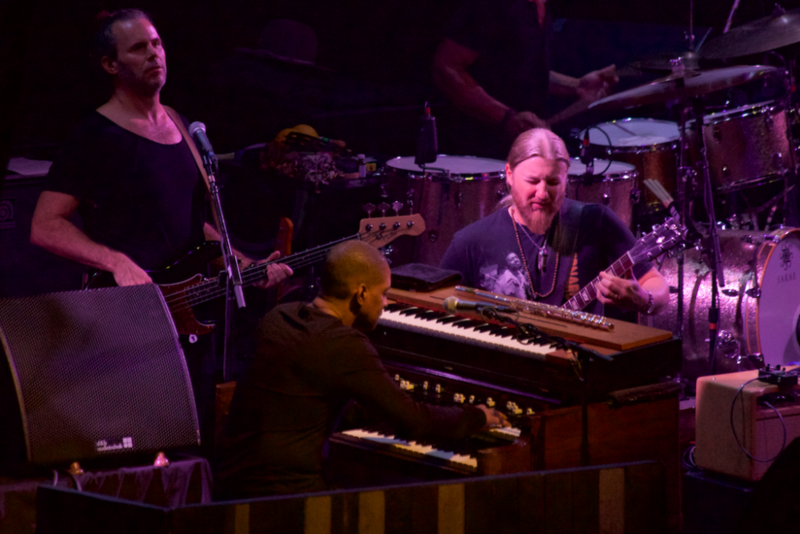 The lights were spectacular in that they emphasized the amount of detail the musicians executed with each hit and rhythm roll. 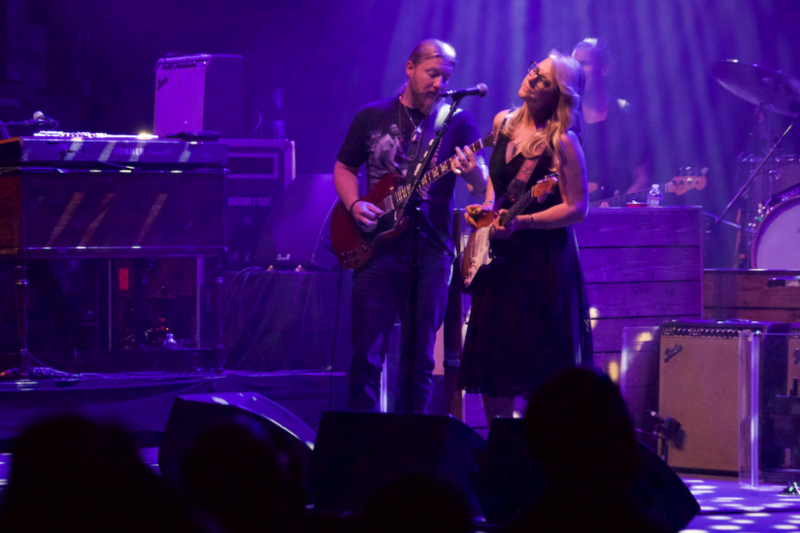 Derek Trucks continues to stun the crowd with his prolific guitar playing and melodic phrasing in solos. 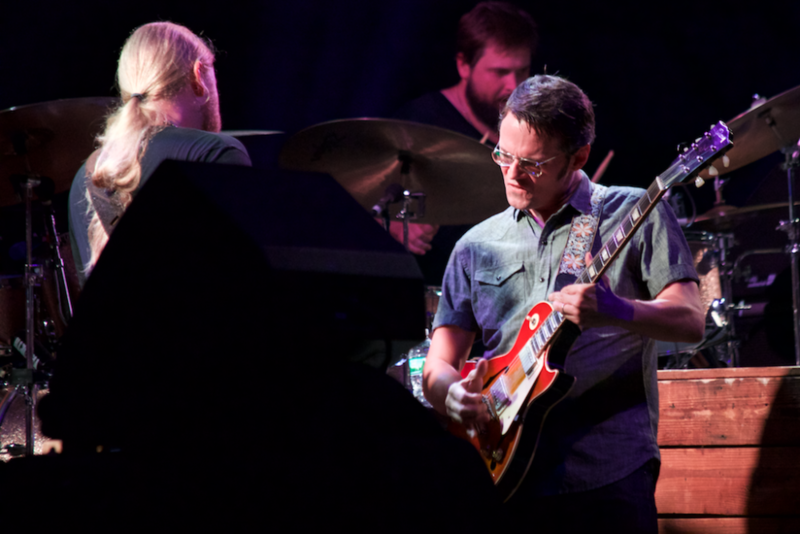 It’s as if he writes his solos in advance and memorizes them for the stage because they’re just that good. 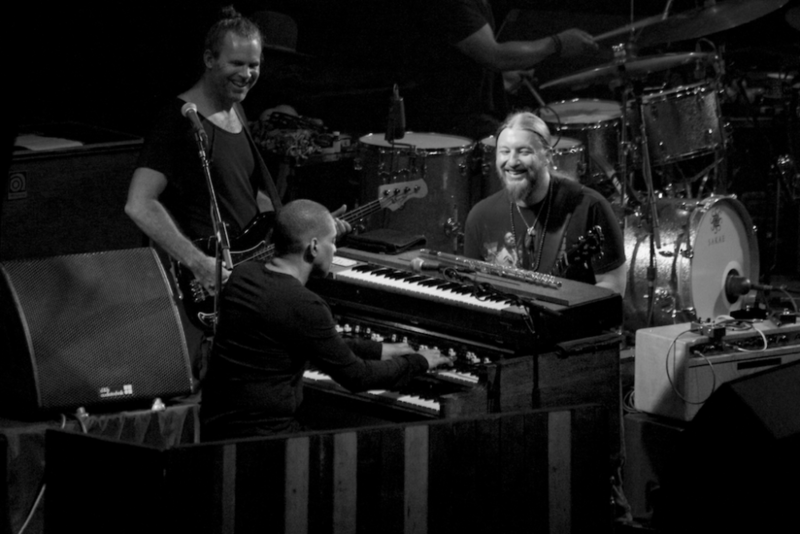 The uniqueness of his playing compared to others’ is how easily he uses what’s going on around him to fuel his sound. 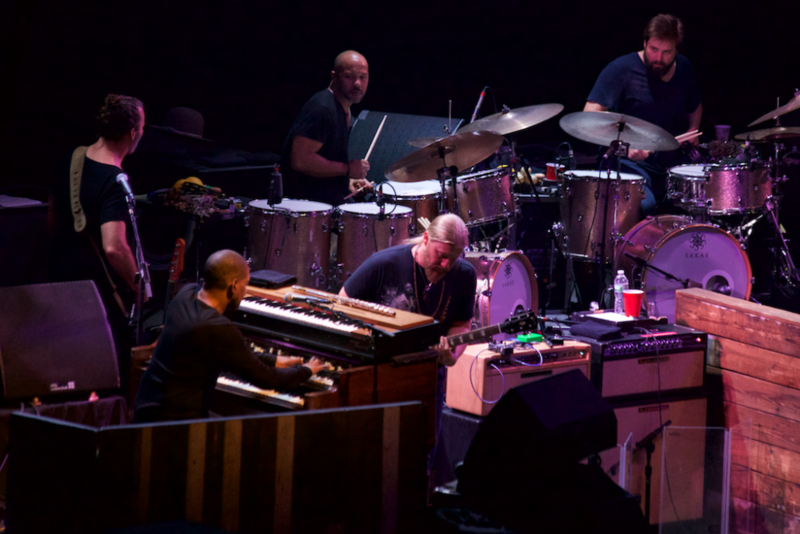 For example, there was a short melodic line in the horn section, maybe three notes long, he repeated it then repurposed it into another famous Trucks solo. 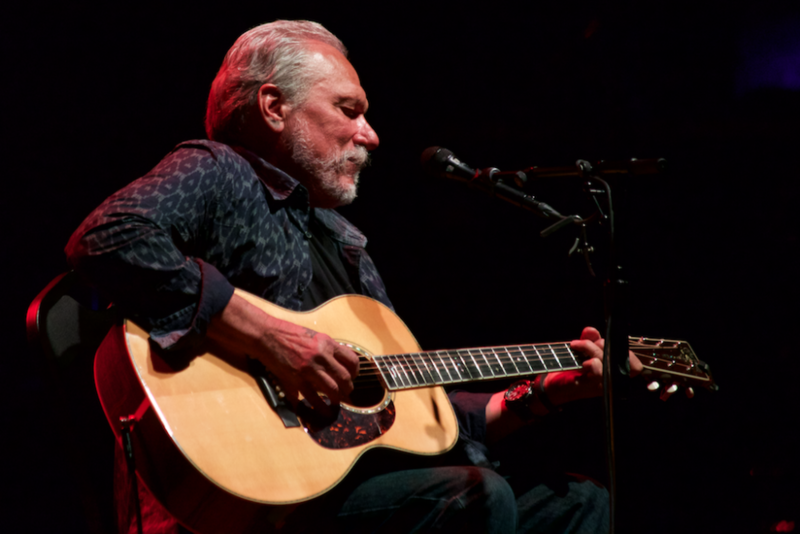 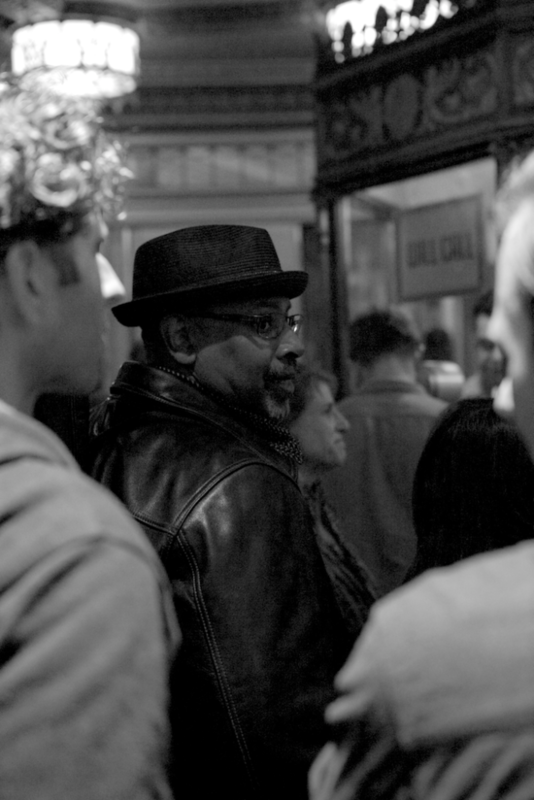 There’s nothing more wonderful than hearing a musician create music on the spot. 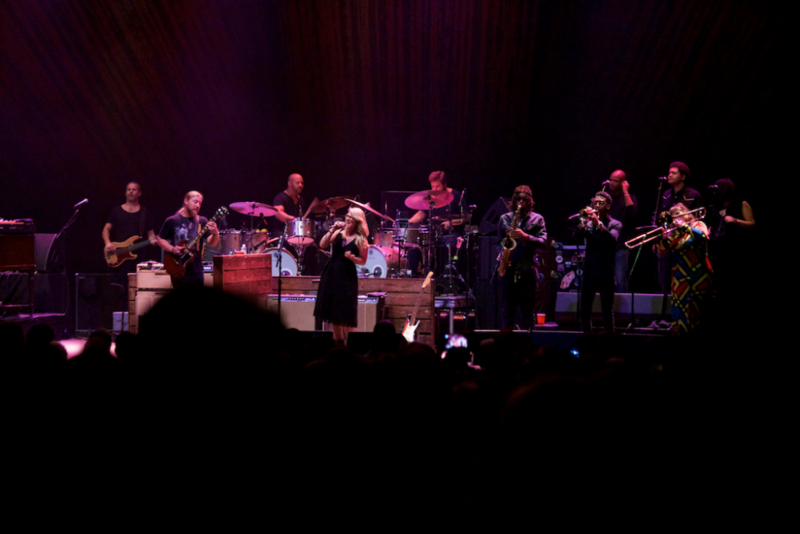 If you don’t believe me, go catch the Tedeschi Trucks Band perform for yourself. 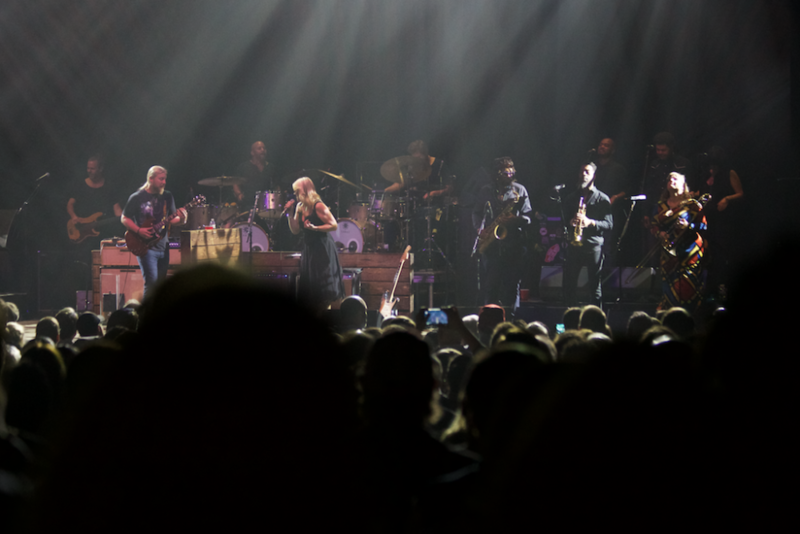 They have several more dates left in the U.S. before they begin their European tour in March 2017.